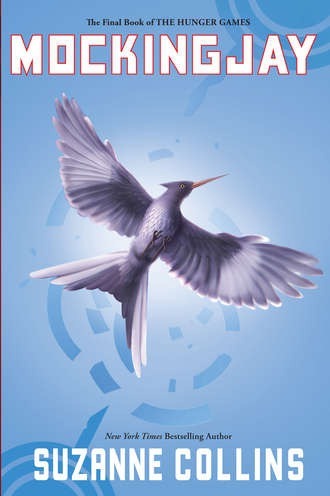 I held off as long as I could in reading Suzanne Collin’s final book in the Hunger Games series, Mockingjay, not because I didn’t want to read it, but because I didn’t want the story to end, and I didn’t want to read it while distracted. I wanted to immerse myself in the story, and with as busy as I have been lately (which I will explain in my next blog entry), I knew that I would both be too tried, and wouldn’t have the time to really get into the story and enjoy it. But I couldn’t wait forever, and despite my desire to read it all in a weekend, I pulled it from my shelf last week and read it in every free moment – on the train, in the car waiting for the train, or waiting for a meeting to start. I don’t envy Collins. By the time Mockingjay was being written, I suspect she had already realized the monster she had created with the Hunger Games and Catching Fire, and trying to write a conclusion to this series that did the storyline justice must have been absolutely brutal. The scope of the story of Mockingjay is so much larger, especially in the first half, than the other two books because it has to be. There is so much more at stake, and an average writer would have fallen prey to the cliché. The hero, especially in a story told from the first person, would have had to be instrumental in every scene in order to make the audience present. But Collins is no ordinary author, and her considerable skill at telling the story allows the reader to skip long periods of time without feeling like they have missed something critical. This is very difficult to do, especially when the scope of the story is so grand. Again, I don’t want to give away any spoilers, but the ending really surprised me. It is not a typical ‘and they all lived happily ever after’ ending. These characters have been changed – ruined even – by what they went through in the three books, and those who survive cannot possibly return to a life of leisure and happiness. I had a very visceral reaction to the end of Mockingjay. Gulp. I swallowed and shook my head. Not because I was disappointed or sad. It just took my breath away, and was so surprisingly brutal, that I my chest ached and I struggled to cope with the end of the story. I will read this series again, because I am sure that I missed so much on the first reading. It has a assumed a place of reverence on my bookshelf, and I suspect it will heavily influence my writing through the rest of my life.